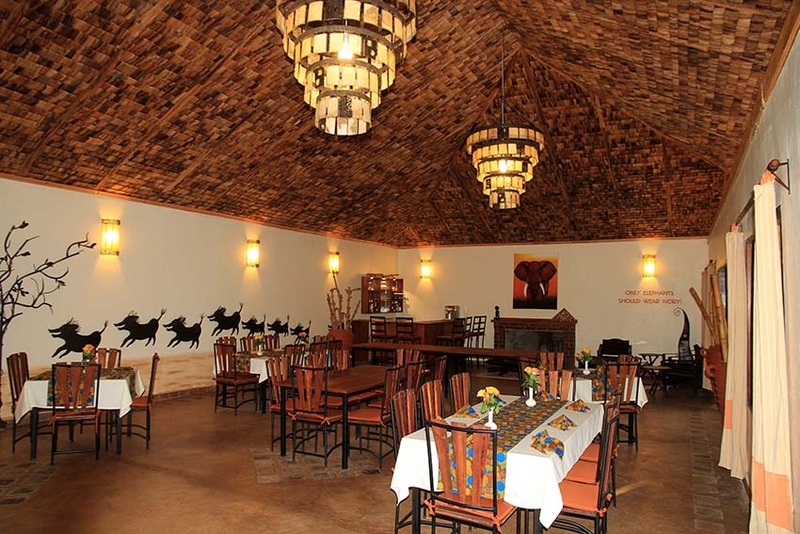 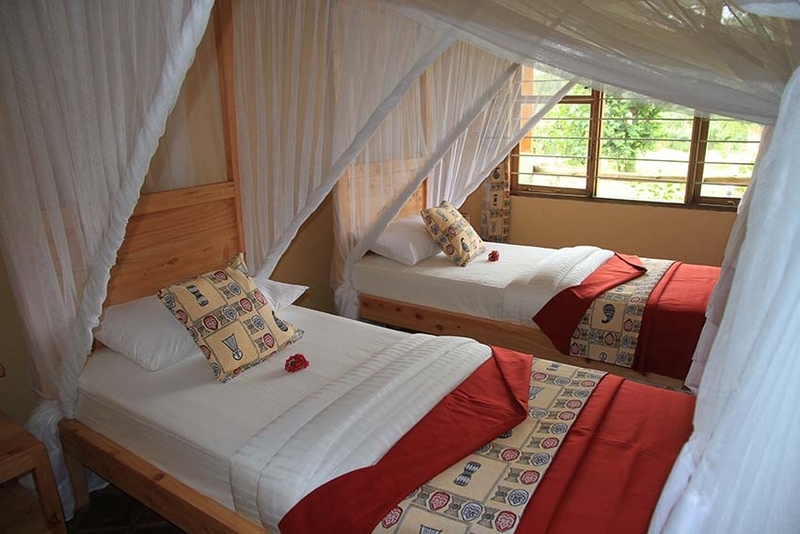 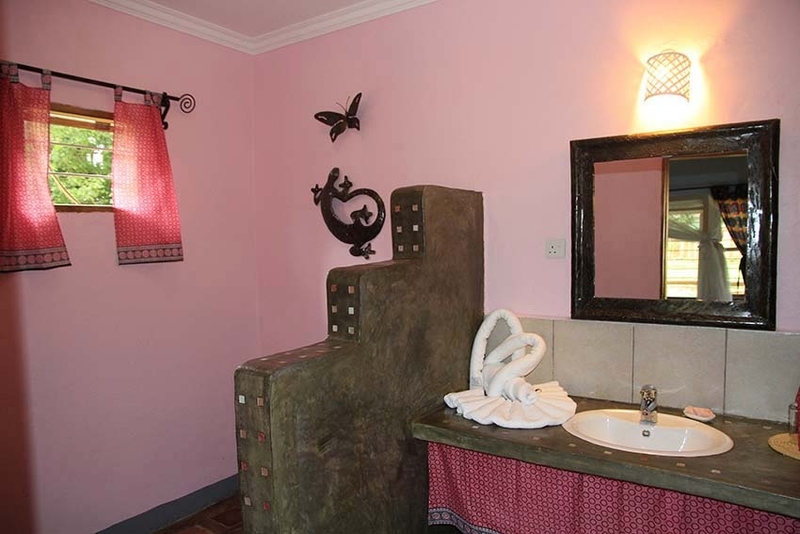 Our AFRICAN VIEW LODGE is just a stone’s throw from Arusha National Park. 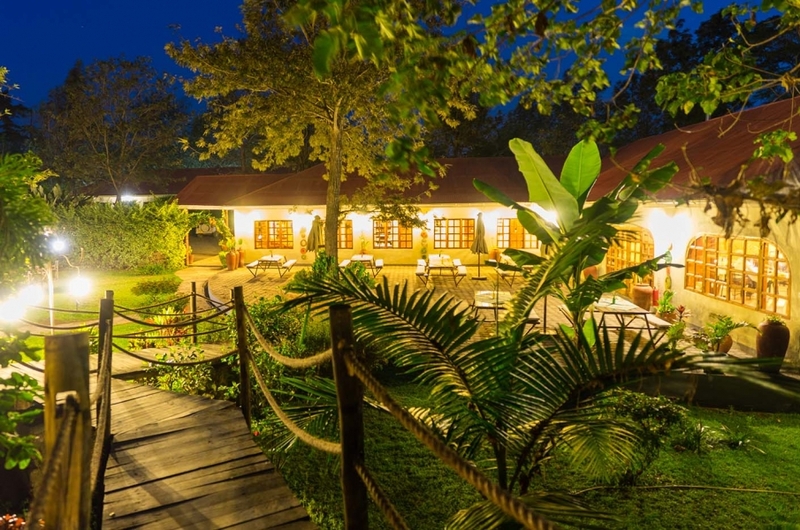 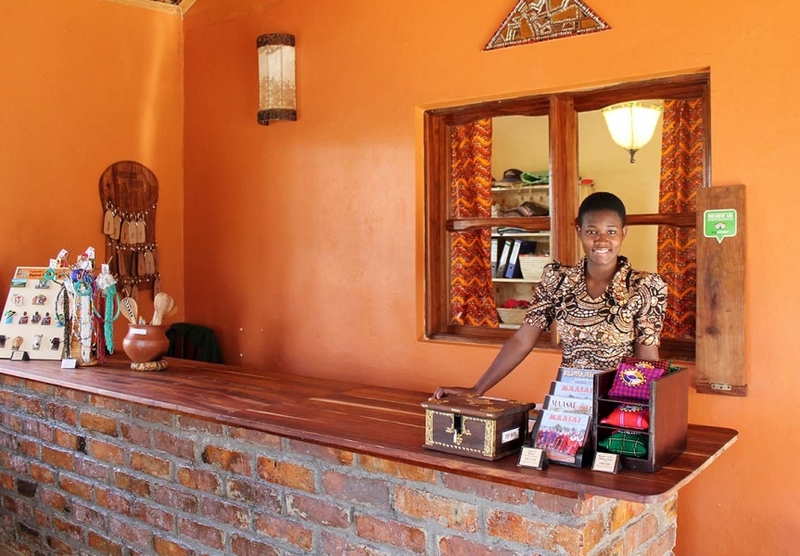 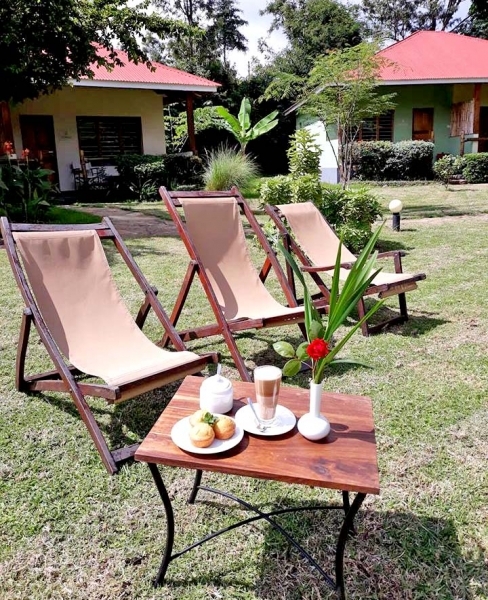 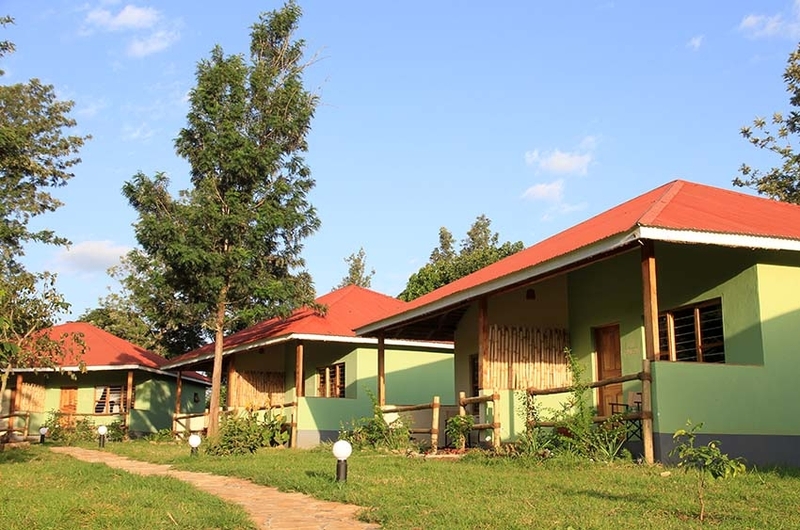 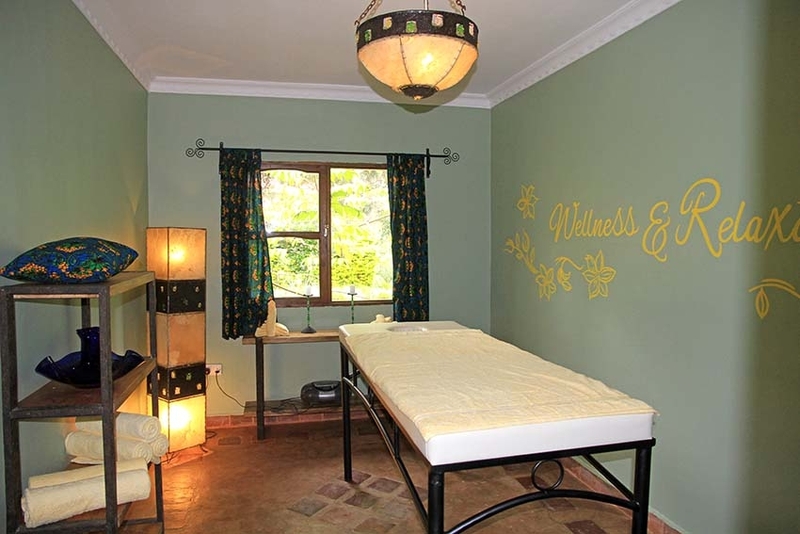 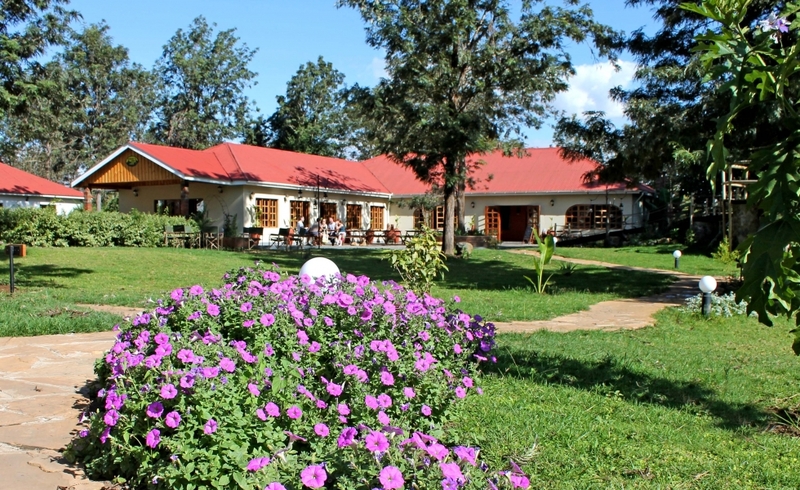 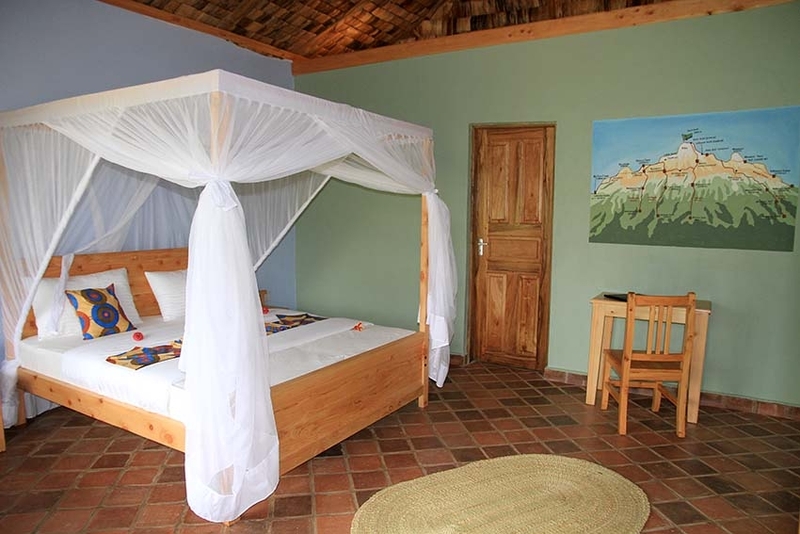 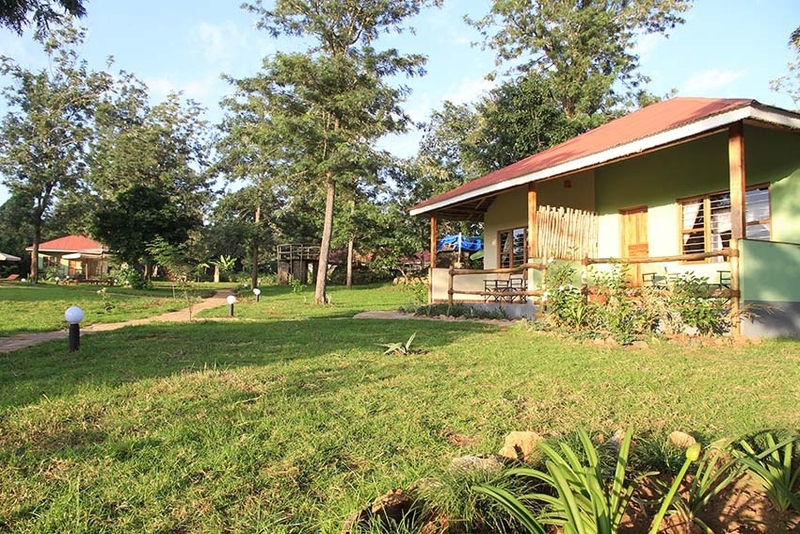 This charming little lodge has 20 en-suite rooms with breathtaking views of Mount Meru. 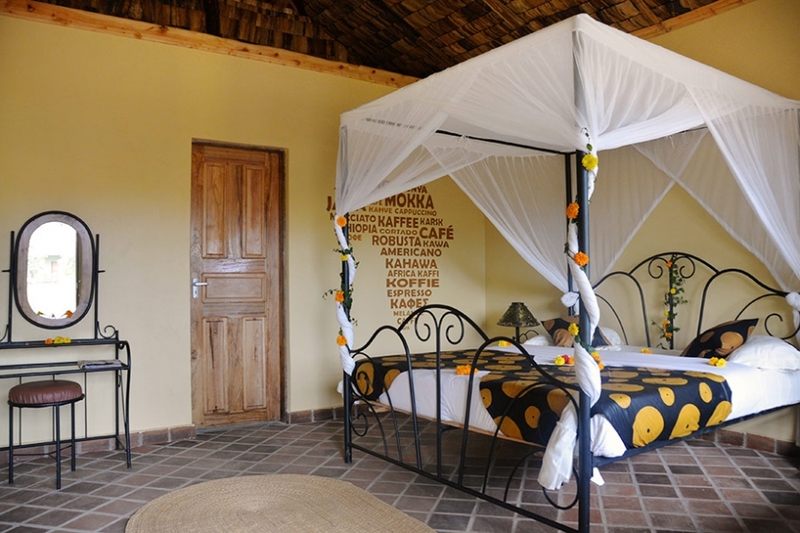 The reception, dining room and bungalows have been designed using local materials including Meru-styled ceilings which are covered with banana leaves. 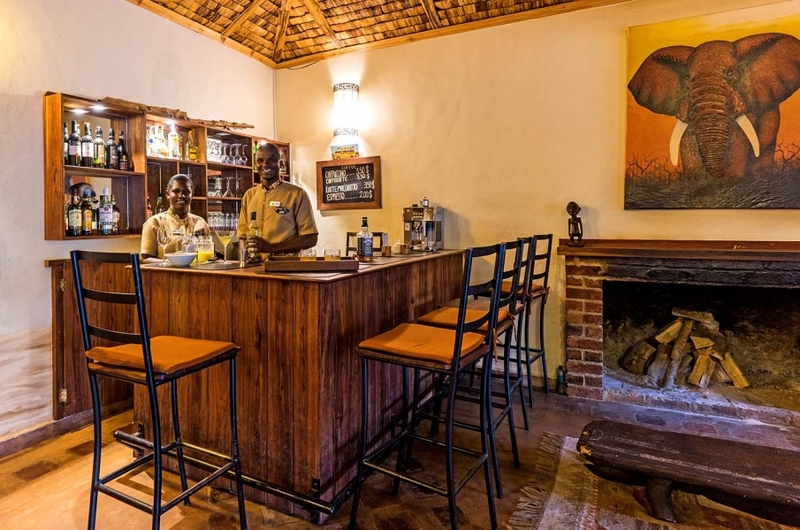 Each room has been allocated a Tanzanian theme so, within one lodge, we offer a small tour around Tanzania with a brief insight into, for example, 'Lake Tanganyika', the 'Maasai' and 'Kilwa Ruins' as well as 'Serengeti' and 'Kilimanjaro'. 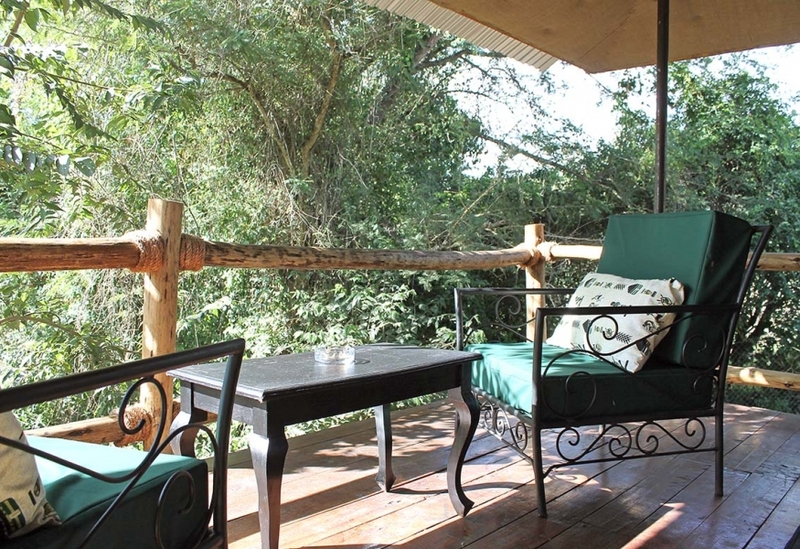 For those who do not have time to do a safari, we even have our own special 'Tree House', which is a permanent en-suite tent elevated amongst the trees in the garden. 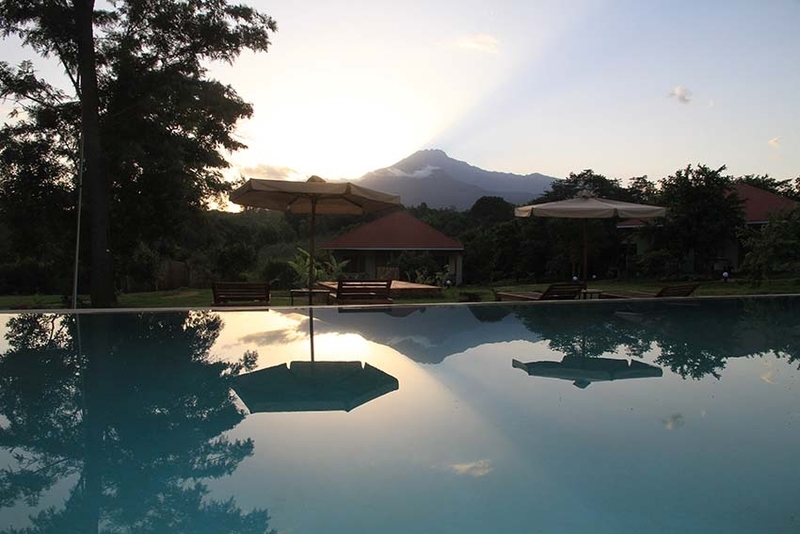 The tropical garden with its infinity swimming pool as centrepiece offers a cooling plunge, especially during the hot months. 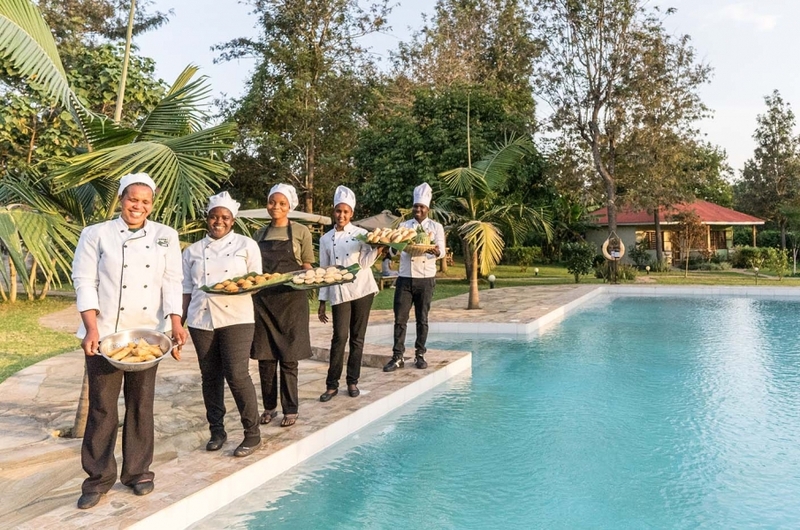 In the evenings, whilst enjoying a sundowner on our 'Meru View platform' to round off the day, our chefs will be busy preparing tasty meals made with fresh ingredients straight from the markets. 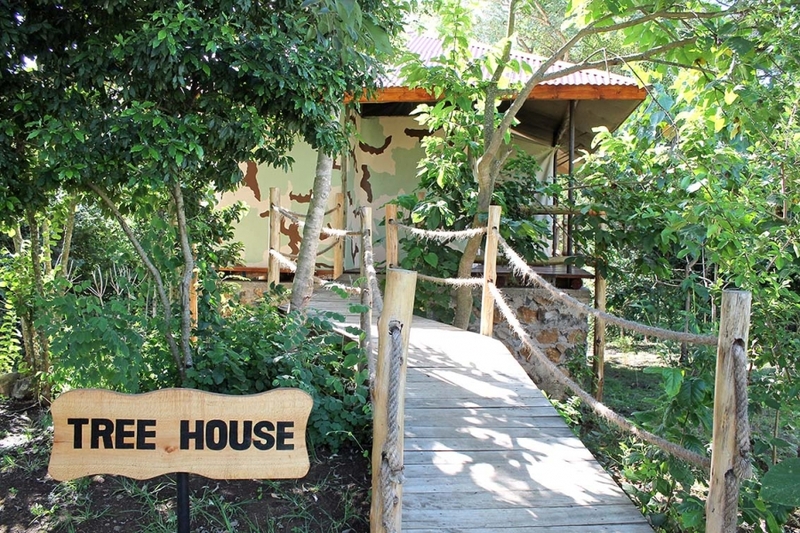 We look forward to hosting you in our own little piece of paradise. 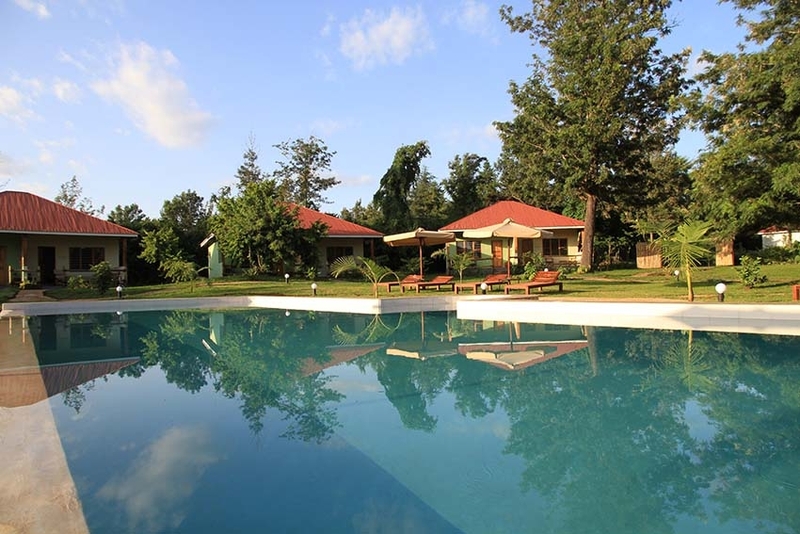 Karibu African View!